The Financial Times is reporting how individual retail investment in U.S. equities has fallen to record lows (see article). This recent data highlights not only the nervousness of retail investors, but also illustrates the growing importance of institutional investors. By the end of 2006, retail investors owned 34 percent of all shares and 24 percent of the stock of the top 1,000 companies. These record low numbers are in contrast to when retail investors owned 94 percent of all stocks in 1950 and 63 percent in 1980. As comparison, institutions owned 76 percent of the shares in the biggest 1,000 companies in 2006, up from 61 percent in 2000. "The first half of 2008 has seen a notable change in client expectations and investment choices. Faced with inflation worries, volatile asset prices and sudden changes in exchange rates, a majority of investors have reduced their transaction volumes in equities, bonds, and structured products." Apparently, such movement into cash is greatest for clients from Asia, where their tolerance for derivatives and structure vehicles has decreased significantly as counterparty risks and volatility has increased. Given recent moves by the Fed and other central banks to increase liquidity in the wake of the credit crisis, some worry how this liquidity will eventually be removed from the market, and worry that interest rates will rise as a result. Apparently, even large sovereign wealth funds may also be having second thoughts, or are at least re-evaluating how they deploy their ever increasing capital. An article from Asian Investor discusses how sovereign wealth funds, with their own mixed investment results allocating capital to struggling financial institutions, may now be looking for broad diversification, which will ultimately increase the amount of passive investments they make. None of this really seems to be good news for the banks or the exchanges. As evidence of further weakening, derivative trades on the exchanges fell 13% in the second quarter (see Bloomberg article). This weakening comes as more exchanges enter the fray, causing the London Stock Exchange to cut fees as it deals with new competitors (see Financial Times article). The IPO market has also suffered recently (see Wall Street Journal article, Financial Times article). Only 25 companies priced their stock IPOs somewhere in the world in August, the lowest number of deals since Dealogic began tracking them in 1995. Maybe even more troublesome than the reduced number of IPOs is the increased numbers of delistings that are also putting pressure on the exchanges. Year-to-date more companies have been delisted from the Nasdaq Stock Market than a year ago (see Financial Week article). To a lesser extent, NYSE listing are also up as companies fail to meet minimum listing requirements. So far, more Nasdaq-listed companies have been delisted for non-compliance this year than in the previous two years. As of August 7, 54 stocks were delisted. As comparison, only 48 total companies were delisted last year, with 52 delistings in 2006. 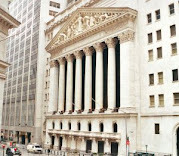 For the NYSE, 11 companies were delisted as of July 1 of this year. This compares to 21 last year and 14 in 2006. Along with a lower number of IPOs, the lower number of listings are affecting the profitability of the exchanges which derive up to 15% of their overall revenue from listing fees. While there have been more delistings on the Nasdaq, in part since smaller companies are more vulnerable during difficult times, companies pay much less to be on the Nasdaq (around $27,500 a year), so the loss of listing fees is not as severe. On the other hand, the NYSE will lose around $878,000 in annual revenue from IndyBank and Bear Stearns alone. When looking at the stock performance, the NYSE Euronext (NYX) stock has suffered over the last year and is right around its 52 week low near $40 per share. The CME Group (CME) has bounced slightly from 52 week lows near $300 a share to move near $340 a share, but is still struggling. On the other hand, the Nasdaq OMX Group (NDAQ) has recover to $32 a share after bottoming out around $24 a share in early July. The exchanges certainly have more issues to worry about than just delistings, and their stocks reflect this, but the continued fallout of the credit crisis is certainly continuing to find its way into more areas than the obvious players.